Great first deposit bonus and ongoing bonus offers. Has improved its service a great deal since launching. Not all games are available in all regions. Our BoVegas Casino review introduces the flagship online casino for the Affalliance Group – a relatively new set-up that appears to have learned from issues during its launch, and that now offers an exciting range of eight online casinos supported by a great selection of bonuses, an excellent VIP Club, and a much improved banking service. With regard to the BoVegas Casino itself, the site accepts players from most jurisdictions in the world (including the USA) – although, as the situation regulation worldwide online casino legislation can best be described as “fluid”, we advise every reader to review the casino´s terms and conditions before registering and funding an account. The group certainly tries to remove any barrier from players enjoying the action at BoVegas Casino. The casino software can be downloaded onto a Windows PC or played in a web browser if you have a Mac computer. Android users can also download a user-friendly casino app from the BoVegas website, but iPad and iPhone users will have to visit the mobile casino through their web browsers. 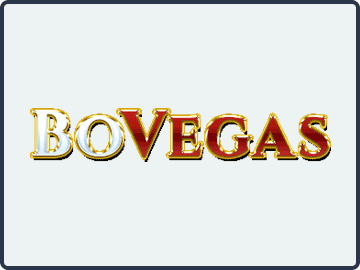 The BoVegas Online Casino was launched in 2017 and is registered in Curacao. Although it experienced a few teething troubles during its early days, the site is now recognized as a leading option for players who want to alternate between BoVegas Online Casino´s Realtime Gaming software, and other casino software elsewhere. One point of note is that not all games are available in all regions. In the process of compiling this BoVegas Casino review, we played at the site through different browsers using different VPNs. In certain jurisdictions, we could only access a limited number of games; although in some European jurisdictions you get the added bonus of a filter in the slots lobby and a volatility rating for each slot game. The BoVegas first deposit bonus is very generous and comes in two stages. When you make your first deposit, you can claim a 250% slots-exclusive bonus up to $2,500 (use the BoVegas Casino bonus code BOVEGAS250); and, when you make your second deposit, you can claim a further 300% slots-exclusive bonus up to $3,000 (use the BoVegas Casino bonus code BOVEGAS300). The clearing requirements for the first (and second) deposit bonuses are very fair. You simply have to play through the deposit and bonus amount a minimum of thirty times. However, you cannot claim two bonuses simultaneously. So, you run out of money trying to clear the first bonus, simply make a second deposit without using a bonus code and save the “second” first deposit bonus for later use. Once you have cleared the initial bonuses, there are “Daily Reward” reload bonuses you can take advantage of multiple times each day, although these are usually slots-exclusive bonuses as well, and have deposit limits higher than the minimum $25 deposit required for the first deposit bonus. They may also have different clearing requirements from the BoVegas first deposit bonuses. The “Monthly Special” reload bonuses can be used at any time of the month. These include bonuses you can clear playing card games and video poker, but a number of card games are excluded (PaiGow Poker, Sic Bo, War, etc.) from the bonus offers, and you may find your entitlement to a cards game bonus is voided if you play any of these games in error. Again, read the terms and conditions! Assuming you are not playing from a European jurisdiction in which the choice of options is limited, there is a good selection of online casino games to choose from. The range of slots includes many Realtime Gaming favorites, progressive jackpots, and new releases, which could be easier to navigate with the filter and volatility rating available to European players. The range of card games and video poker games should satisfy most players, and the site also has an area for specialty games – which is where you will find the roulette tables. Unfortunately, the Live Dealer section of the casino has been removed, but considering your action on the live tables would have not contributed to your bonus, that´s not a great loss. The default deposit options at BoVegas Casino are limited to Amex, Visa, Mastercard and Bitcoin. Depending on where you live, you may also be able to use Secure Payment Voucher (max. $500) to fund your account, and you will have to go through a telephone verification process when you make your first deposit before you are allowed to play casino games for real money. Withdrawing your winnings by Visa, Mastercard or Bank Wire is relatively straightforward and free, but not necessarily quick. You will first need to verify your ID before requesting a withdrawal, which can then take 3-7 days to process and is limited to $2,000 per week – although this limit is increased once you hit the higher limits of the BoVegas Casino VIP Club. When you start playing at BoVegas Casino, you automatically become a member of the site´s VIP Club and start earning Comp Points at the rate of 1 Point for every $10 in bets (or at a faster rate once you reach the higher levels of the four-tier VIP Club). Comp Points can be exchanged for cash at the rate of 100 Points per $1.00 with no withdrawal restrictions. Additional benefits of the BoVegas Casino VIP Club include “Recognition Chips” (up to $1,000) as you reach certain points levels, up to 20% weekly cashback on your losses, exclusive bonuses on recently-released games and access to exclusive slots tournaments. Overall, the VIP Club is better than most and a good reason to play exclusively at BoVegas Casino if you are a fan of Realtime Gaming software. Overall we like this casino and feel it is a welcome addition to the online entertainment landscape. However, in the process of compiling our BoVegas Casino review, there were a few small issues players should be aware of – especially the one where you will forfeit your balance if you don´t log into your account within ninety days! Plenty of progressive jackpot games including some at the card tables. Generous first deposit bonus and multiple reload bonuses to choose from. Excellent VIP Club making it worthwhile to play at BoVegas exclusively. Time taken to process withdrawals. Ninety day balance forfeiture rule. Some of the things not yet covered in our BoVegas Casino review include the site´s commitments to fair gaming, player security, and privacy – which passed with flying colors – and the fact you don´t have to ring the States to speak with a Customer Service rep – separate support phone services are available for players in France, Australia and the UK. In a nutshell – plenty to like, but plenty of terms and conditions that are sometimes complex and difficult to navigate. If you cannot be bothered reading and understanding the terms and conditions, this is probably not the site for you; but if you know what you are doing you will enjoy the BoVegas experience.